Discover a dynamic new force in leadership development. This remarkable guide shows companies exactly how they can better retain and increase leadership talent through the establishment of women's networks--networks that link specific female employee concerns and larger organizational goals in ways that bolster the bottom line. 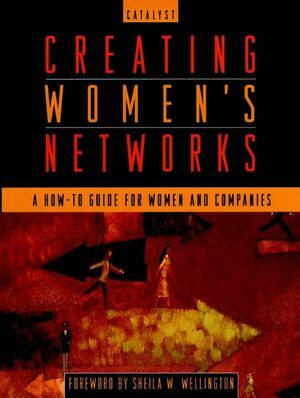 Based on the cutting-edge research of Catalyst--America's foremost nonprofit dedicated to the advancement of women in business--this guide explains why women's networks are valuable. It shows how companies large and small have leveraged women's networks to their advantage. And it provides a detailed framework readers can follow to create a network within their organization. Charged with first-person success stories, it will prove invaluable to executives and managers concerned with decreasing turnover, increasing employee satisfaction, and optimizing the leadership potential of their entire work force. CATALYST is a nationally recognized nonprofit organization whose research and advisory services are aimed at maximizing opportunities for women in management and executive positions. Its staff is frequently quoted in major media, including The New York Times, Business Week, the Wall Street Journal, Fortune, and most other business publications. Catalyst is headquartered in New York City. The Right Roles and Goals for Your Network. On Your Mark, Get Set: Getting Organized and Started. IT'S UP AND RUNNING, NOW WHAT? Want Real Power? Build Companywide Support. You've Arrived! Putting Your Plans into Action. Stay Focused! Keeping on Track as the Network Ages. What If You Face Real Problems? How to Make Them Coquerable Challenges. Appendix A. Catalyst's Summary Findings from the Women's Workplace. Appendix B. Examples from the Women's Network.